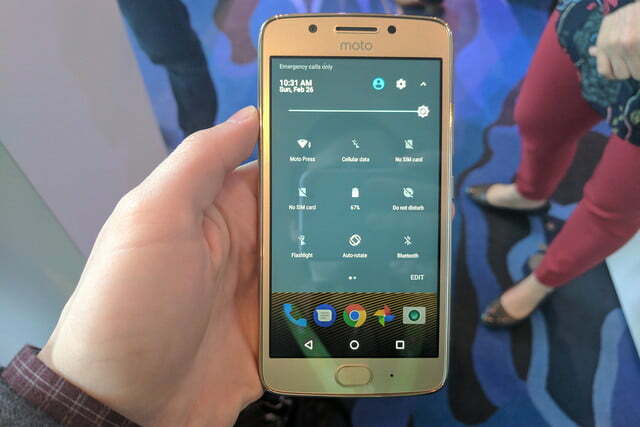 The Moto G5 and G5 Plus are now available to the public after making a big appearance at Mobile World Congress earlier in the year. 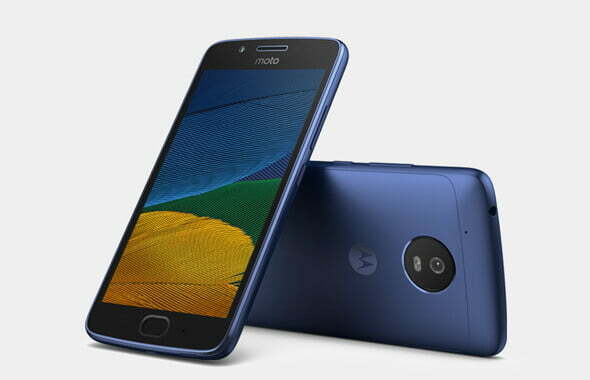 The new phones, successors to last year’s G4 and G4 Plus, have upheld the series’ core tenet of uncompromising affordability. Motorola has also announced two small upgrades to the G5 and G5 Plus — the G5S and the G5S Plus. 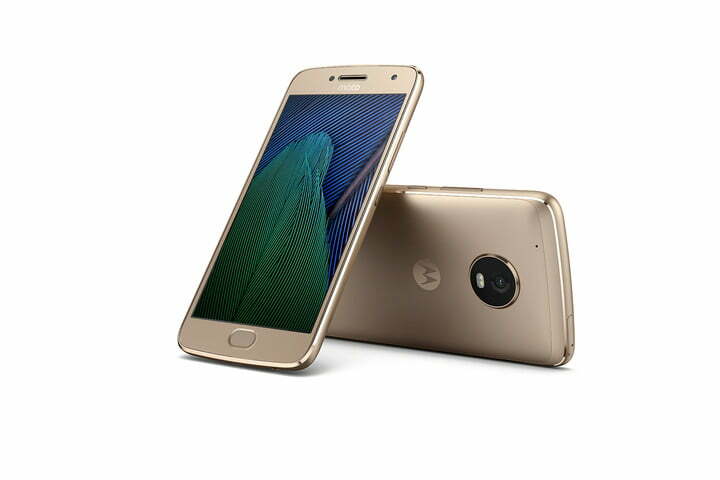 You can check out the latest details about the Moto G5 and Moto G5 Plus below or read our full review. 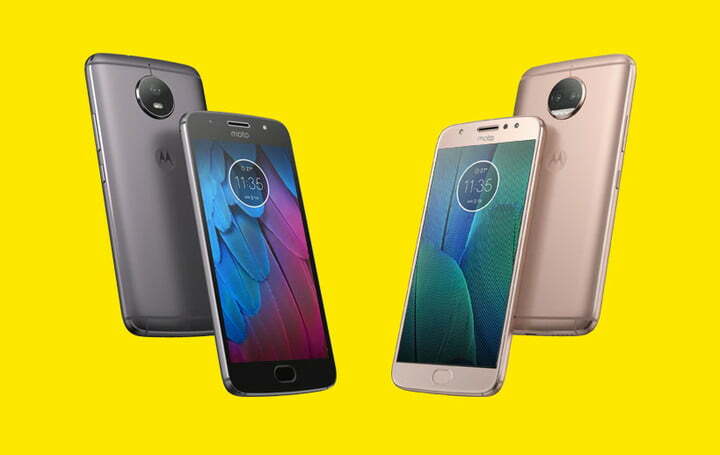 The Moto G5 family is growing, and the G5S Plus is now up for-pre-order. In the U.S., the 32GB and 64GB G5S Plus are available for pre-order for $280 and $350, respectively — though you can get them for $50 off ($230 and $300, respectively) for a limited time. Lenovo says the promotion will run until September 28 and there’s a possibility of an extension. The phones will hit retailers including Best Buy, B&H, Fry’s, Motorola.com, NewEgg, Ting, and Walmart.com on September 29. In Europe, the Moto G5S will start at 250 euros, while the G5S Plus will start at 300 euros. The G5S Plus benefits from metal all over as well, and sports three notable upgrades. 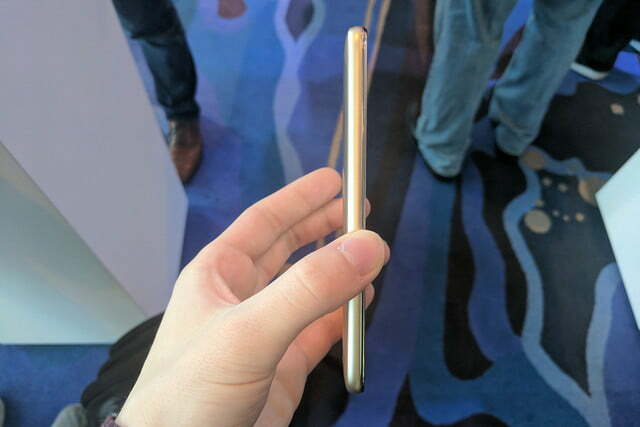 It has a larger 1080p display than the G5 Plus, measuring 5.5 inches versus 5.2 inches. 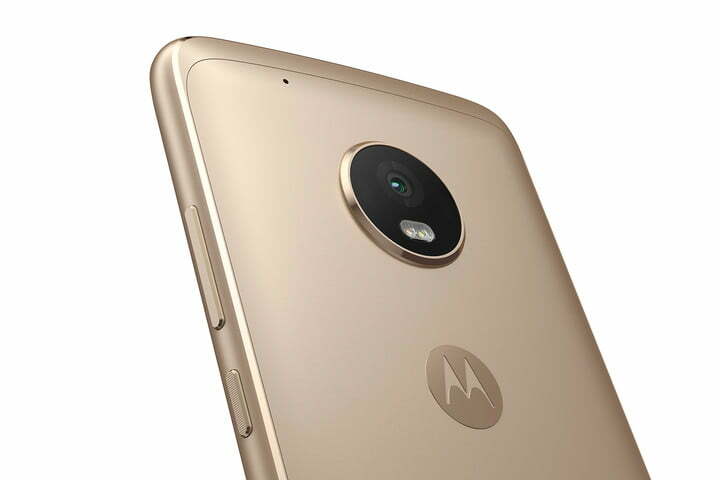 More impressively, the G5 Plus’ 12-megapixel camera has been replaced with a dual-lens 13-megapixel arrangement similar to what we’ve seen on the just-announced Moto Z2 Force. The same photography features, like selective focus and coloring, are present here. Around the front, the G5 Plus’ 5-megapixel shooter has been scrapped in favor of an 8-megapixel one. The G5S, which is not available in the U.S., retains the standard model’s Qualcomm Snapdragon 430 processor, but offers a number of key improvements surrounding it. The battery has been sized up, from 2,800mAh to 3,000mAh. The camera has also been enhanced from 13 megapixels to 16. 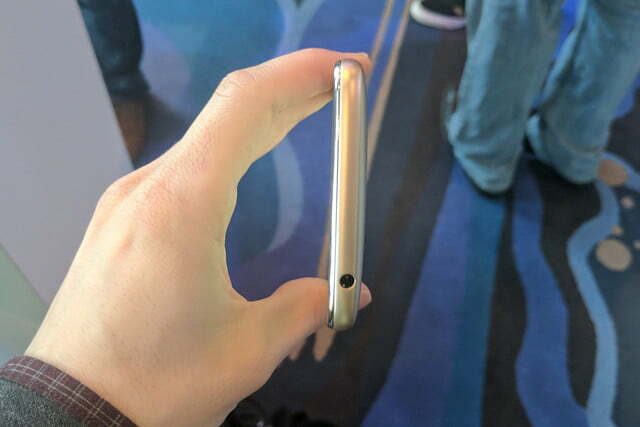 What you’ll likely notice first, though, is the all-metal unibody construction. 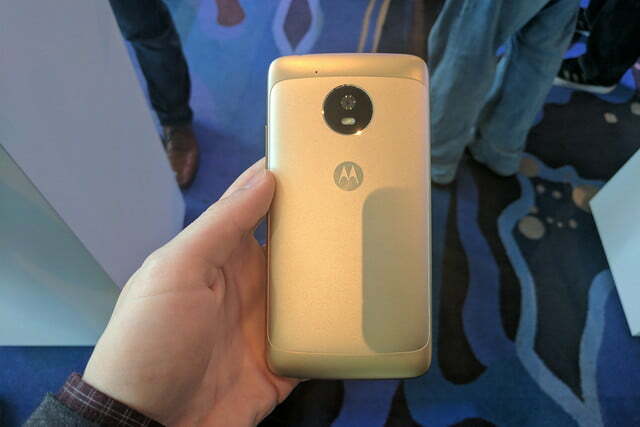 Previously, the Moto G5 was predominantly built from plastic, with a metal backplate. At first glance, the G5 doesn’t look any different from the G5 Plus, but it’s a different story under the hood. The lower-end handset packs a 5-inch Full HD (1920 x 1080p) screen, but sports a Snapdragon 430 paired with 2GB of RAM, a sizable step down from the G5 Plus. 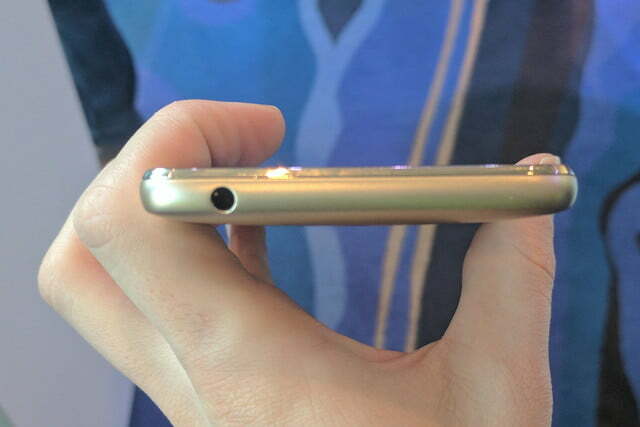 It also lacks support for NFC, and internal storage and battery max out at 32GB and 2,800mAh, respectively. Despite the G5’s weaker specs, it didn’t seem all that much slower than the G5 Plus. It flew through apps like Chrome and Gmail, and crushed a burst shot photo session like a pro. The G5 has support for Bluetooth, Wi-Fi, a 3.5mm audio jack, and USB Type-C.
Motorola said that the designs of the G5 and G5 Plus were informed by its customers, and that much seems clear. Citing the results of a customer survey, Motorola said that 63 percent want a higher screen resolution and display, 62 percent want all-day battery life, and 58 percent want better camera capabilities. From what we can tell so far, both the G5 and G5 Plus deliver on all fronts. The Moto G5, much like its predecessor, is a veritable powerhouse of a smartphone. On the front is a 5.2-inch Full HD display (the same resolution as the G4 Plus) shielded by Gorilla Glass 3 and powered by a Qualcomm 2GHz octa-core Snapdragon 625 and up to 4GB of RAM. The battery is the same size as last year’s model at 3,000mAh, and supports Lenovo’s proprietary TurboPower fast-charging technology. 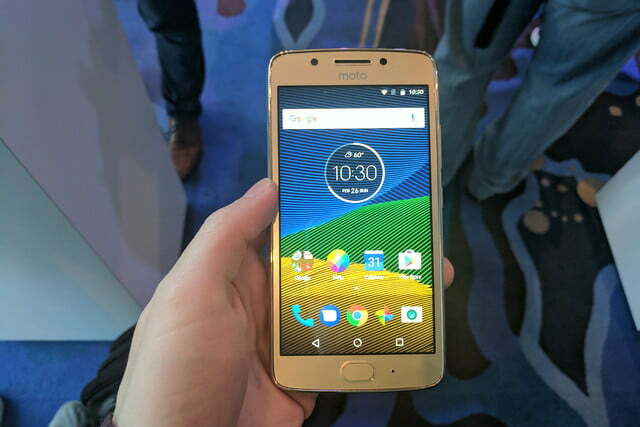 (Motorola said it can deliver up to six hours of battery life in just 15 minutes.) It also has a notable upgrade from the G4 Plus — support for NFC, the wireless standard that enables tap-and-pay transactions via Google’s Android Pay platform. We were impressed by the responsiveness of last year’s G4 Plus, and the G5 Plus was just as smooth as glass to our eyes. We put the G5 through the wringer in our brief time with the device, opening as many browser tabs and apps at once as we possibly could. It fluidly switched between all of them, but we’ll need to run a few benchmark tests and games to see how it really compares. 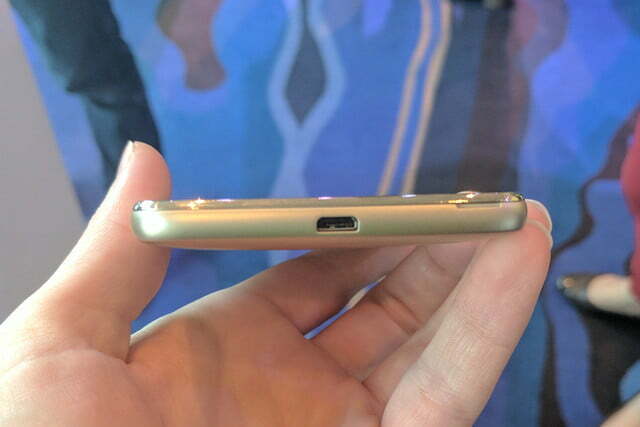 A fingerprint sensor is embedded in a raised nub on the front of the Moto G5 Plus, and a MicroSD Card reader sits under the removable back cover. It also features Bluetooth 4.1, Wi-Fi, a 3.5mm headphone jack, a USB Type-C connector, and 64GB of internal storage. 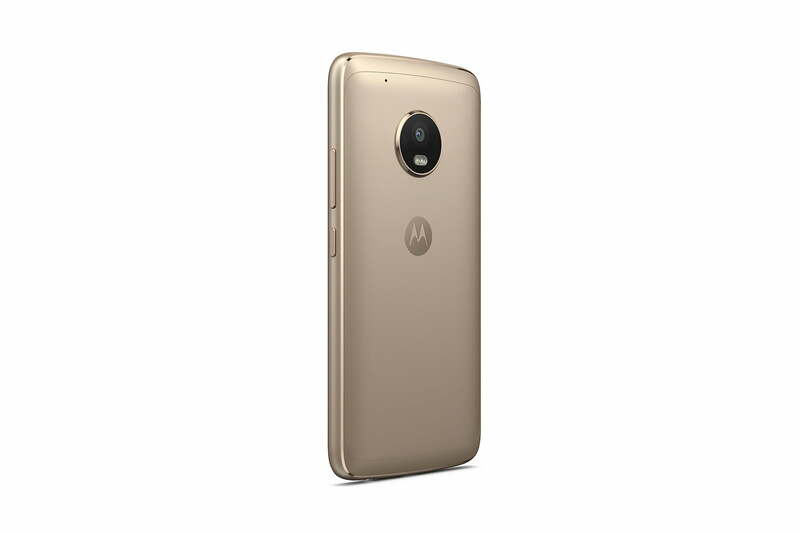 If you live in the U.S., you can only buy the Moto G5 Plus — however, there are two G5 Plus variants available. That includes a $230 model with 32GB of storage and 2GB of RAM, and a $280 model with 64GB of storage and 4GB of RAM. 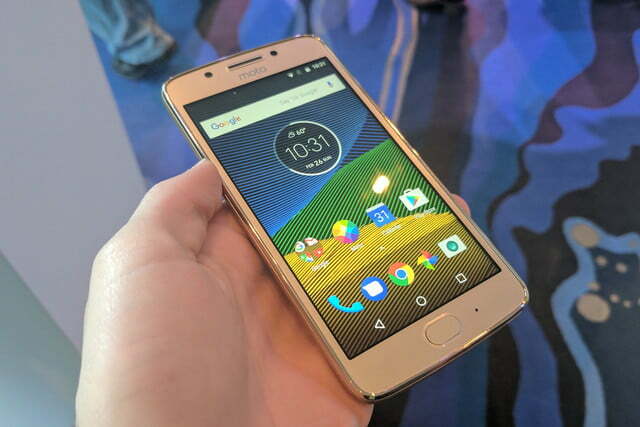 If you want to save a few bucks on the U.S. version, Amazon is subsidizing a series of phones, including the Moto G5 Plus, so you can get it for yourself for $185. Of course, getting an Amazon-subsidized phone does have its drawbacks, like the fact that you’ll get ads and personalized offers. 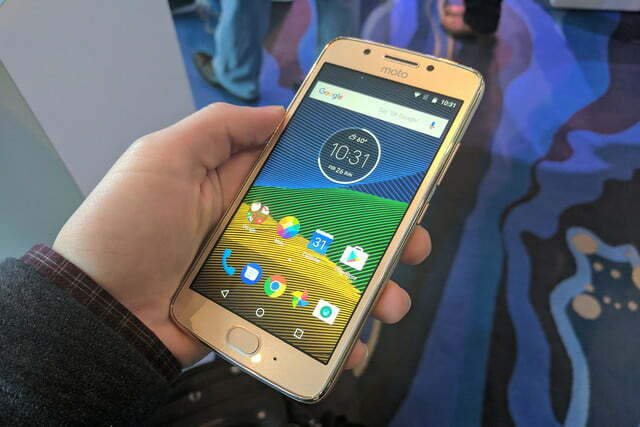 It doesn’t seem like the standard Moto G5 is part of the promotion — which we expected, as the standard G5 was not slated to reach the U.S. Both handsets are available in two color configurations — lunar gray and fine gold. Both ship with Android 7.0 Nougat.